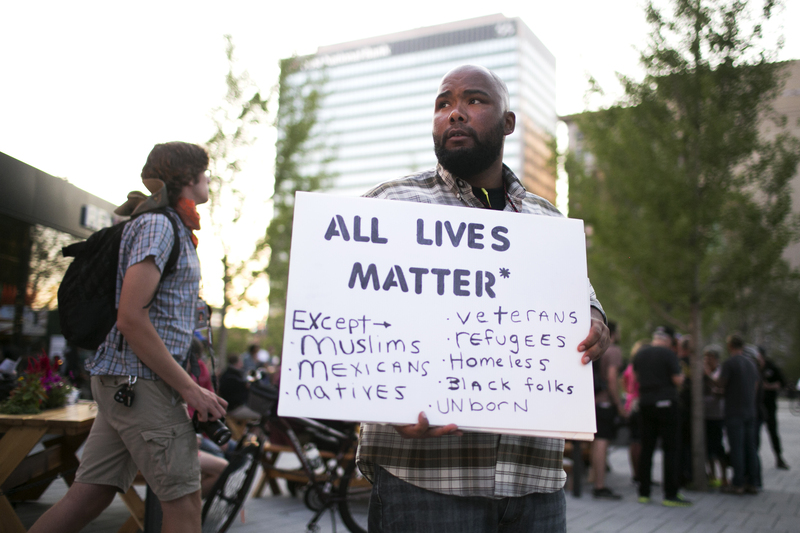 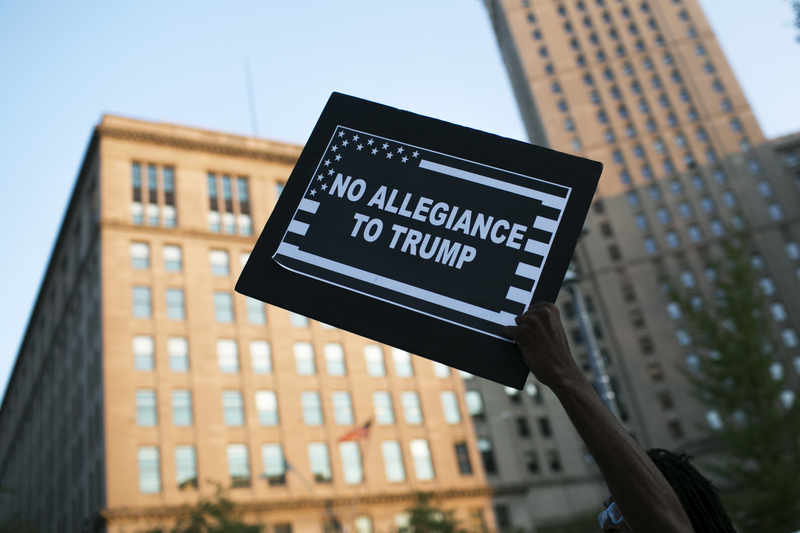 Protests began to pick up outside of the Quicken Loans Arena in Cleveland, while inside Donald Trump officially became the Republican Party’s presidential nominee. 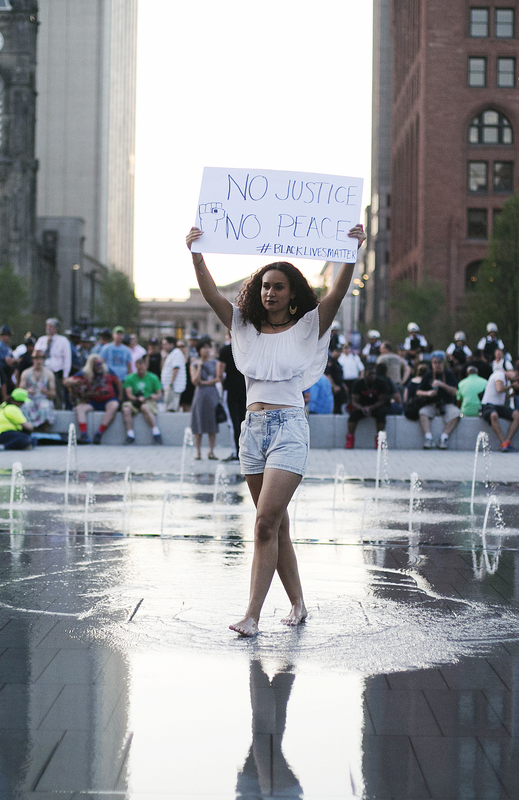 Once again, you can easily see what’s happening on the floor of the convention, but to see what is happening on the outside, that’s what we are here for. 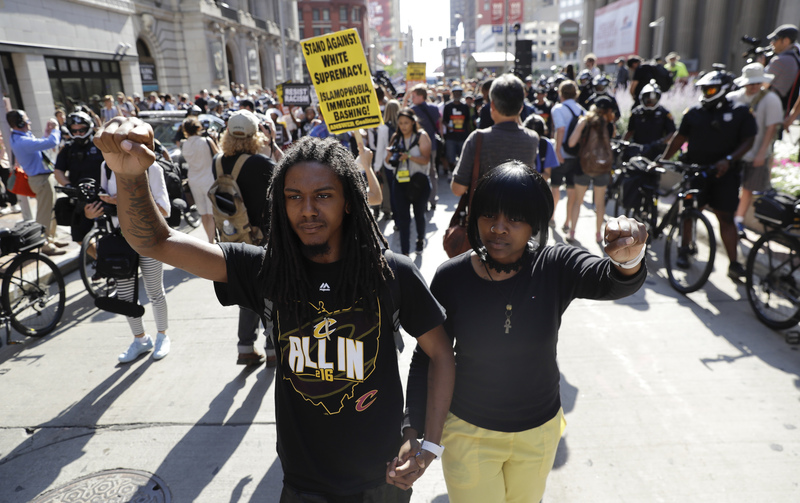 Protestors hit the streets in Cleveland, OH on Tuesday, July 19, 2016 during the Republican National Convention. 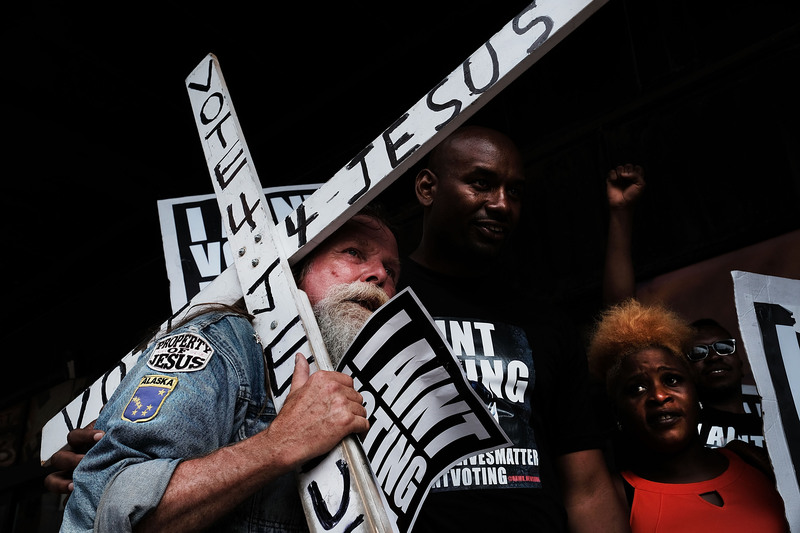 A man walks with a cross advocating voting for Jesus at the the sight of the Republican National Convention (RNC) in downtown Cleveland on the second day of the convention on July 18, 2016 in Cleveland, Ohio. 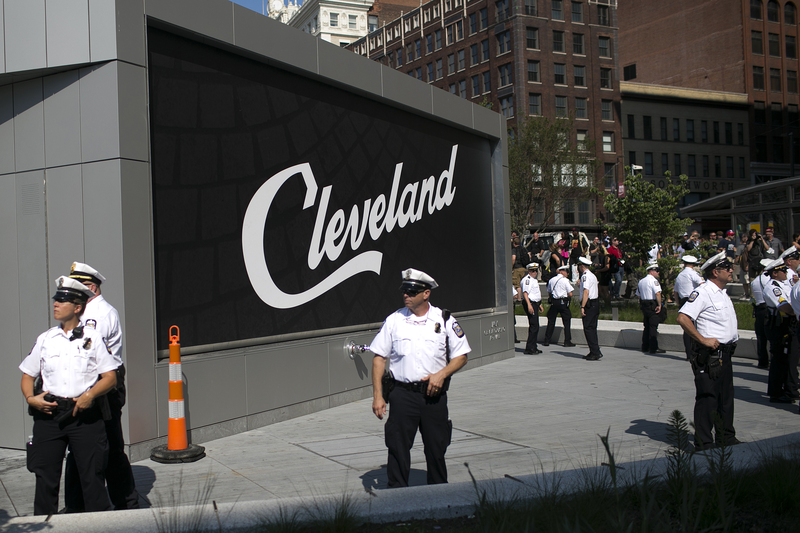 Many people have stayed away from downtown due to road closures and the fear of violence. 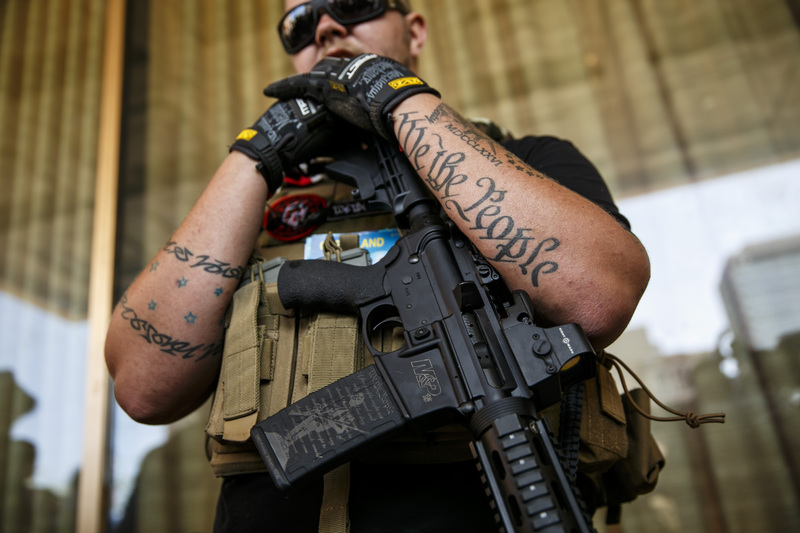 Trevor Leis from Lima, Ohio, of the West Ohio Minutemen group stand guard outside the 2016 Republican National Convention in Cleveland, Ohio, on July 19, 2016. 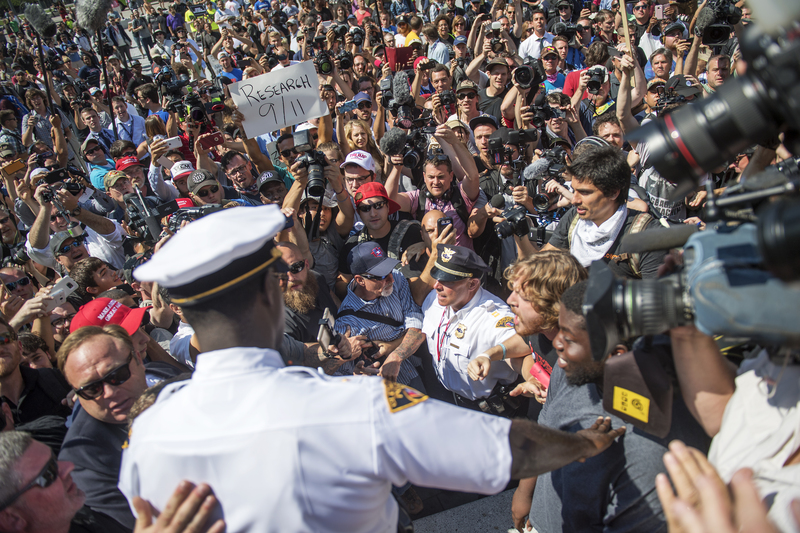 Police separate radio host Alex Jones, second from left, from other protesters in the Public Square near the Republican National Convention at the Quicken Loans Arena in Cleveland, Ohio, July 19, 2016. 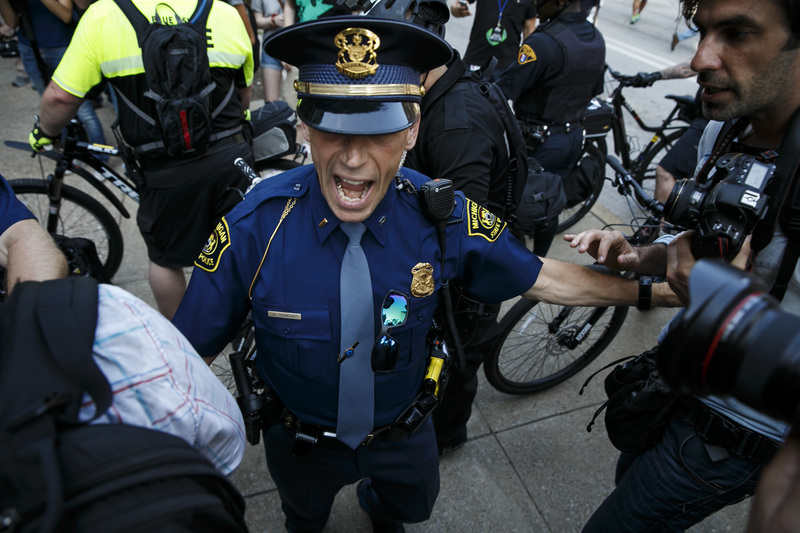 A Michigan state police officer pushes back photographers during the 2016 Republican National Convention in Cleveland, Ohio, on July 19, 2016. 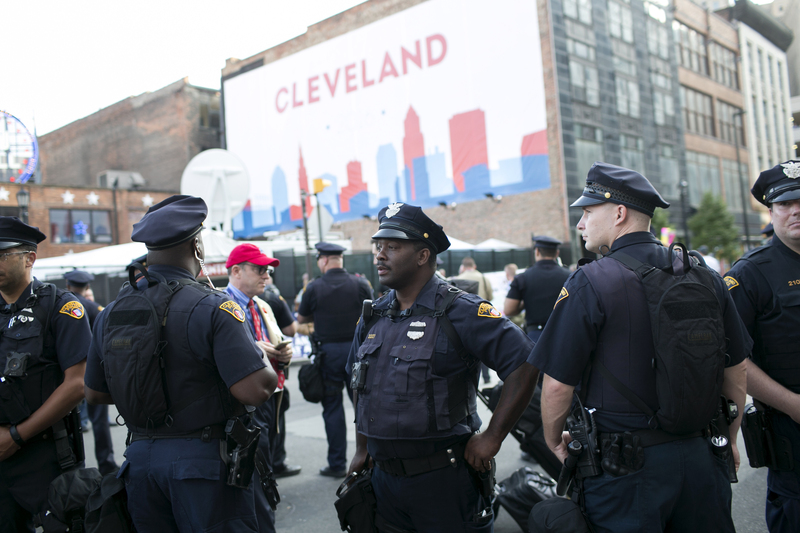 Police officers hit the streets in Cleveland, OH on Tuesday, July 19, 2016 during the Republican National Convention. 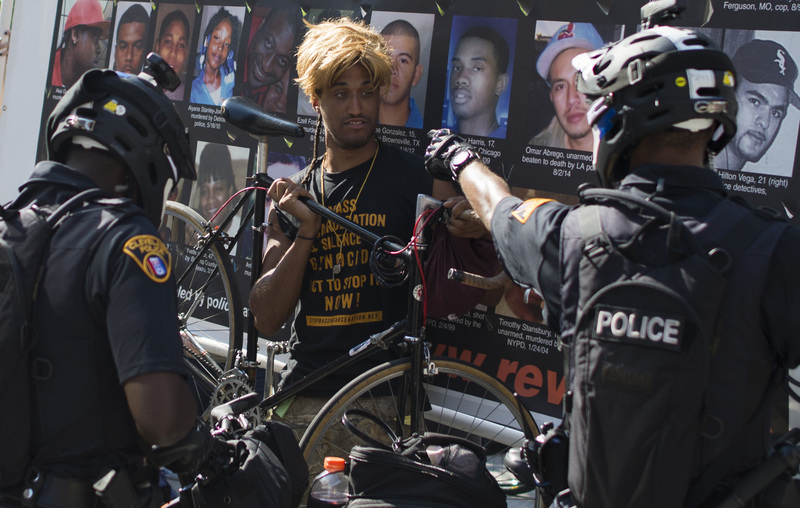 A protester is confronted by police during a rally outside the Republican National Convention in Cleveland, Ohio on July 19, 2016. 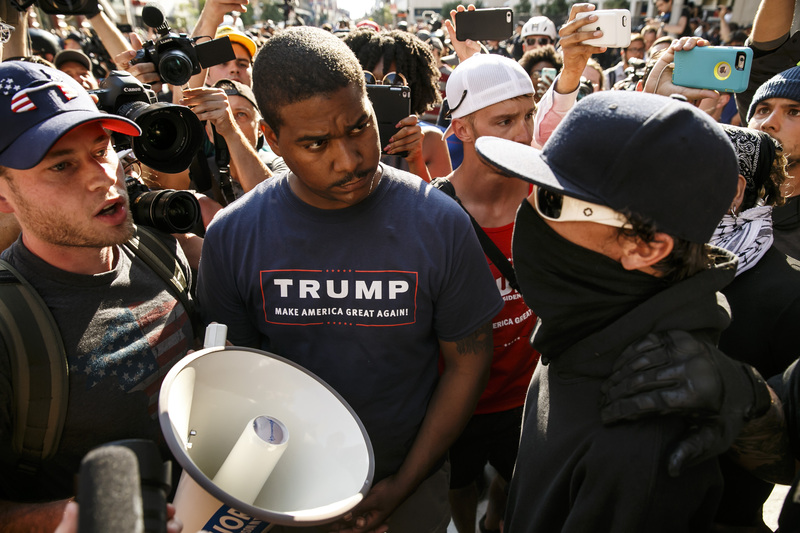 A protester gets into a screaming match with a Trump supporter during the 2016 Republican National Convention in Cleveland, Ohio, on July 19, 2016.